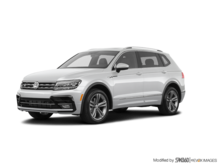 Home > New Vehicles > Volkswagen > Tiguan > 2019 > 2019 Volkswagen Tiguan Highline 4Motion w/ R-Line & Drivers Assist Pkg. 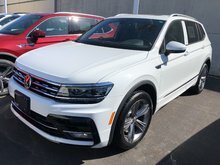 2019 Volkswagen Tiguan Highline 4Motion w/ R-Line & Drivers Assist Pkg. 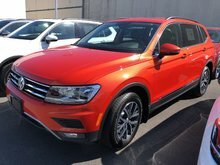 Key Features: 19” Trenton Alloy Wheels, Panoramic Power Sunroof, Privacy Glass, Rain sensing wipers, Climatronic dual-zone climate control, Ambient LED Interior Lighting, Volkswagen Digital Cockpit (instrument Cluster), Adaptive Cruise Control with Stop & Go, Lane Assist, Light Assist (Automatic high beam control), Area View 360, LED headlights with Adaptive Front-Light system, LED Tail lights, Power Autofolding heated exterior mirrors with memory and reverse tilt down function, Heated front seats, Leather seating surfaces, R-Line Leather wrapped heated multifunction sport steering wheel, USB audio input (x3), Fender Premium Audio System - 400-WATT digital sound package and 8 speakers Composition Media – 8.0” touchscreen radio with proximity sensor, CD player, voice control, 2 SD card slot and Satellite Navigation, Blind Spot Detection with Rear Traffic Alert, Front Assist – Autonomous Emergency Braking, KESSY – keyless access with push-start button, Pedestrian monitoring, Stainless steel pedals, Power tailgate with easy open and delayed close function, Park Distance Control – Front & Rear, Rear view camera. QUESTIONS? 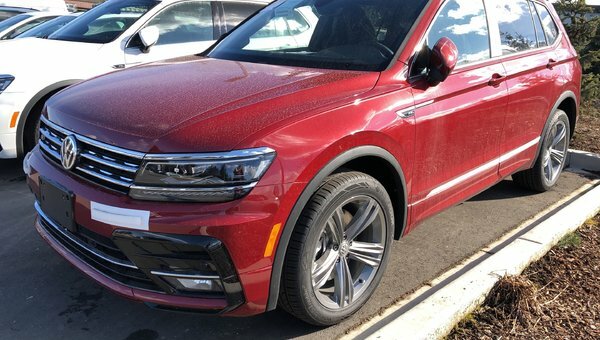 TEXT 778-949-9028 to hear about more of the features on this 2019 Tiguan. 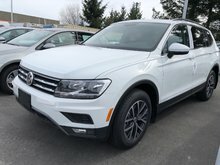 2.0L 180HP - 4 cyl.